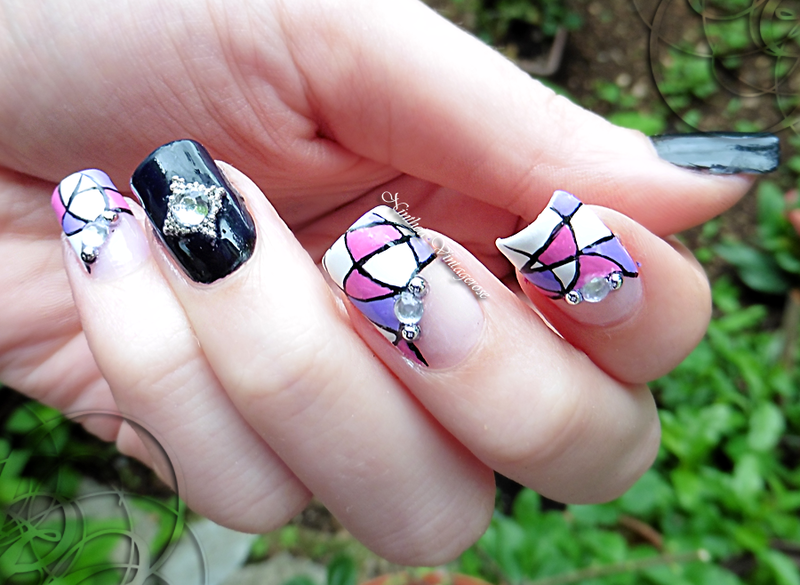 It's a particular nail art that immediately caught my eye so I had to recreate this one. I used a white nail polish as a base and painted over it with acrylic paint. On the ring finger I placed a big rhinestone and I surrounded it with micro beads. Yours is as beautiful as hers, so similar! Great design by the way! It has an artistic touch and I simply like it!